As Zimdancehall artists stampede to release albums and maybe trying to do so in time for the awards season, Tocky Vibes real name Obey Makamure is also set to release a new album titled Chamakuvangu on a date yet to be announced. With Baba Harare’s last offering, Minamato Yarasta, having suffered a stillbirth in 2017 after it was thwarted by Jah Prayzah’s too hot to handle Kutonga Kwaro, Winky D’s Gombwe and Killer T’s Mashoko Anopfuura, only to resurrect almost a year later after the hype around afore mentioned albums had subsided, Tocky becomes the latest artist whose work will be on spotlight among several other dancehall albums. “Well, I don’t let fellow artists determine my music moves. Just like with babies, you don’t consult your next door neighbor neither do you wait for your friend’s child to get to a certain age for you to have a baby of your own, that’s how I treat this industry. “Everyone has their role and no-one can fill anyone’s space better than the owner, as, in the bible, so many writers but each one got their chapter,” the lanky lad told 263Chat. As is with his usual theme of uplifting and Christianized music, the Toti-toti hitmaker said Chamakuvangu will follow the same flow. “It’s a 15 track album which will follow that same Tocky flow you have always known, of praising God rather than man and also aiming to uplift souls,” said Tocky who burst onto the scene in 2012 with the hit song Mhai. He also said, he is not looking to make money out of the album but touch lives. “With me, it’s not about making money but touching lives, money, and food come as a bonus. The primary business is to feed people with the constructive material,” he said. Tocky has already released Usambotya as a teaser of what is to follow featuring Dr Oliver Mtukudzi and the song is doing well. 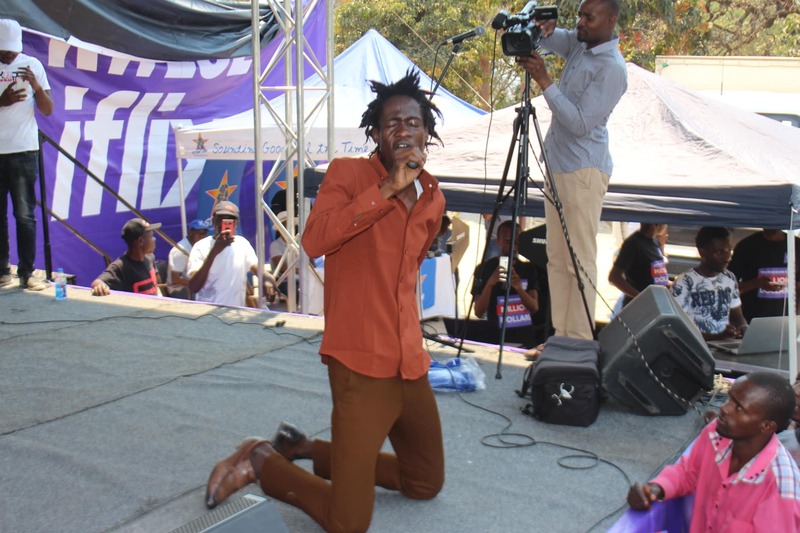 Meanwhile Shinsoman has just released a hot potato of an album titled Maziva Ndadzoka and on Saturday two more albums from Soul Jah Love and Seh Calaz will be out. It is yet to be seen whether Chamakuvangu will rise above all the other albums.